Muddy Paws Bath House is Bend’s premiere full-service grooming and self-service dog wash facility. Schedule an appointment with one of our professional groomers or bring your dirty dog and we will provide you with everything you need to brush, wash and dry your furry friend. We even clean up the mess! 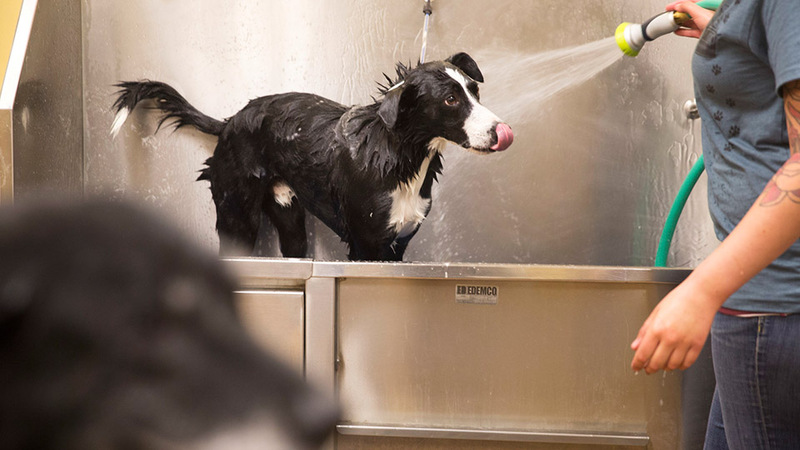 We always have a knowledgeable professional staff member available to answer any of your questions, or to just grab an extra towel when your pup decides it’s time to shake!